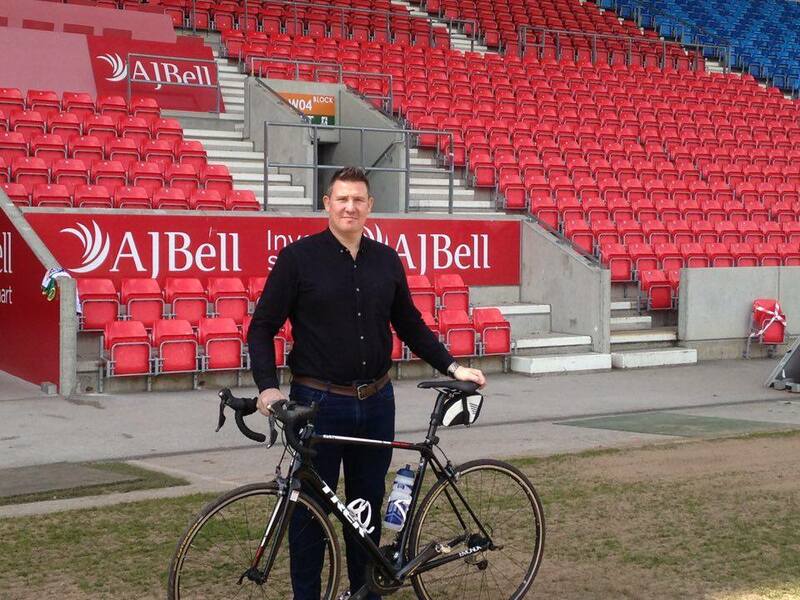 As former Red Paul Highton approaches the 2 week mark of his intrepid journey, cycling from London to Rio, the Salford Red Devils Foundation, alongside corporate teams from across the Northwest are preparing for their own ‘Virtual Ride to Rio’ charity cycle challenge. 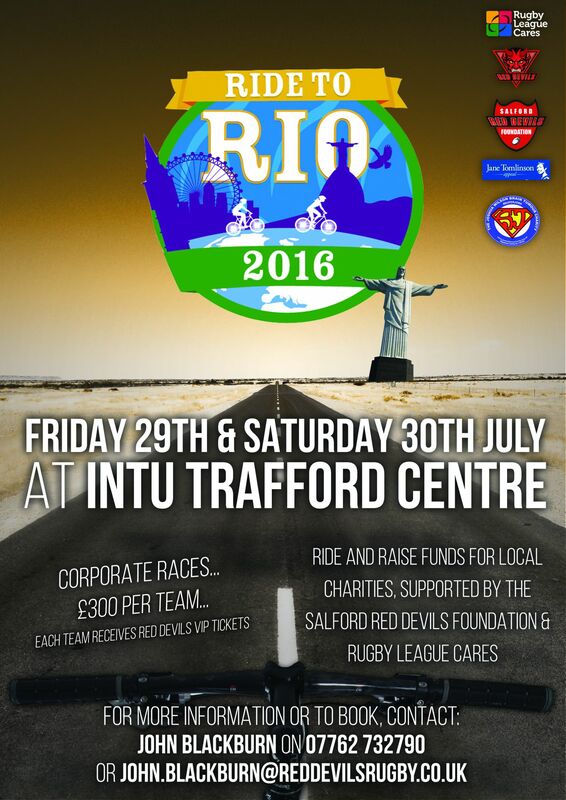 The event, which takes place at the intu Trafford Centre on the 29th and 30th of July will see teams of 6 riders take part in 3 hour cycle challenges, to settle some office scores and raise as much money as possible for the partner charities; The Jane Tomlinson Appeal, The Joshua Wilson Brain Tumour Charity, Rugby League Cares and The Salford Red Devils Foundation. The challenge is in support of ‘Highto’ and his teammates who are undertaking the epic journey across six weeks, travelling through the UK, France, Portugal and Brazil. Jane Tomlinson devoted her life to raising money and awareness of Cancer. Nine years on from her passing Jane’s legacy burn bright as the charity continues her work to support those facing the illness. Alongside the Jane Tomlinson Appeal is Rugby League Cares, a charity dedicated to benefitting the wider rugby league community in a wide variety of different ways. Through working alongside both professional and community clubs, Rugby League Cares is able to provide continued support to the grass roots game in the UK. The Joshua Wilson Brain Tumour Charity is a cause close to the hearts of many at the Red Devils. Joshua Wilson was a life long Salford fan, before his passing in 2014. His legacy lives on through the charity, which raises money to combat brain tumour related illnesses. Teams of 6 cost £300 to enter with all proceeds going to the nominated charities. Participants will receive a T shirt, and a pair of tickets to an upcoming Red Devils home game, as well as the opportunity to win some fantastic prizes.